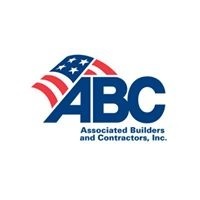 WASHINGTON – (RealEstateRama) — April 17—As a result of the Tax Cuts and Jobs Act passed in December 2017, 55 percent of Associated Builders and Contractors (ABC) contractor members plan to hire more employees, and 52 percent plan to invest in workforce development, according to a recent poll. In addition, 90 percent of member companies say employees have seen an increase in their paychecks. As capital-intensive, low-margin, domestically oriented businesses comprised largely of small, family-owned and closely held merit shop construction firms, ABC members feel the positive effects of tax reform. According to analysis by the U.S. Department of Treasury, the construction industry paid the highest effective tax rate of any sector of the nation’s economy—27 percent, compared to an average of 22 percent for other industries—from 2007 to 2011.